Unwanted guests are never fun, especially when you can’t ask them to leave. Luckily, Orange Park pest control companies have no problem kicking them out. Whether there’s a rodent in your basement or insects in the attic, call your local Orange Park exterminator to take care of them — do not try to wrangle them out yourself! Not sure which type of home pest control service in Orange Park, FL can tackle your issue? Read profiles and ask about their past experiences to get a good idea. 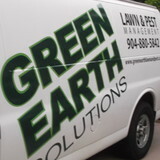 We are proud to be Jacksonville's first and leading "green" pest control company. Family owned and locally operated for more than 50 years, Bug Out is now part of a new Florida based partnership of quality companies, Environmental Pest Service. Our focus on delivering impeccable results with world-class service is what separates us from our competition. Whether you need pest protection, termite protection, lawn and shrub care, irrigation service or pest control attic insulation, we hope you put your trust in Bug Out Service. 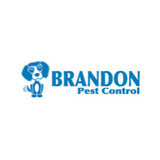 We can handle all your pest needs. Earth friendly turf & ornamental specialists in fertilization, insect control, weed, and disease control for residential and commercial landscapes. 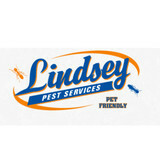 Through our efficient, effective, environmentally friendly pest control and eradication services, Lindsey Pest Services is dedicated to improving the quality of life for Florida’s Jacksonville area and First Coast residents and businesses. Flamingo Pest Control provides pest control solutions in and around St Augustine. Other areas include Jacksonville, Ponte Vedra, Amelia Island & More... Services include ant removal, mosquito control, cockroach extermination, termite fumigation, raccoon removal, wildlife removal. Since our humble beginnings in 1982, Critter Control has been offering humane wildlife removal and wildlife management to the people of Gainesville, Florida. In 2005, we expanded our range of focus to include all pest control. In fact, we have grown to be the 12th largest pest control company in the nation. Despite our growth, we have still been able to keep our focus on the individual customer, providing personalized service to each of our clients. We understand that it is important to find a balance between people and animals. We value animal life and habitat, which is why we employ a professional staff of wildlife biologists and certified wildlife specialists. These specialists understand the habitats and characteristics of wildlife and they provide safe and humane ways to combat the often frustrating behaviors of animals in your home or business. Pest Control Providing pest control services to protect your home or business from unwanted pests including termites, ants, bed bugs, bees and wasps, mosquitoes, roaches, rodents and more. Termite Control As pest control specialists in the business since 1996 we have the knowledge to meet the growing demand in termite control services, from both residential and commercial clients. Termite Bonds Never worry again with Termites. Once we treat your home you have the option to order a termite bond to secure your investment. When it comes to Termite Control, Lawn Pest Control and Pest Control, no one compares to Shoreline Turf & Pest Control Inc. With years of combined experience, Shoreline Turf & Pest Control Inc has worked hard to build the trust of our clients in Palm Coast, Daytona and St. Augustine and beyond. Visit our website to learn more. Or better yet, click the link and call us today! Cody Pest Control has been in the Pest Control Industry for 31 years. We are locally owned and operated by lifetime Flagler County resident, John Cody. Our experienced Technicians provide quality Household Pest Control, Termite and Lawn Services. We are proud that our customers view us as a TRUSTED industry leader, by voting us “BEST AROUND” TWELVE years in a row! 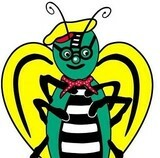 Bug-Man Pest Control is a pest control company in Jacksonville FL. We specialize in all types of residential and commercial pest control services, including: insect control, rodent control, wildlife removal, termite treatments, bed bug extermination, and more! We are proud to be the premier pest control Orange Park FL has to offer! Need a termite inspection? Call Bug-Man today to schedule an appointment. Our local exterminators are certified, licensed, professional pest control experts who are standing by to serve you. We guarantee your satisfaction 100%. If you see any pests after our treatments, we'll come back and make it right at no extra charge to you. Whether you're looking for one-time service, or regular pest management, we can take care of all your needs. Visit our website and give us a call today to book your appointment, and we'll be there to make your home or office bug-free. When the beauty and comfort of your home or office has been invaded by unwanted pests you want fast, reliable, affordable pest control service from a local company with established trust behind their name. Bug Away Inc. has been servicing Jacksonville pest control needs for over 15 years and has been a family business since inception. We are proud to have the knowledge and trade skills to deal with all Florida pest control needs for your home or office. As a long established brand, we proudly offer residential pest control services,commercial pest control services, termite inspection and treatment as well as inspection services for wood destroying organisms such as the Eastern subterranean termite, Formosan subterranean termite and common drywood termites just to name a few. We utilize the power of the Termidor and Premise product lines as our line of defense in protecting your home from roaches, ants, spiders, bugs and many other common Florida pests. Bug-Man Pest Control is a pest control company in Fleming Island FL. We specialize in all types of residential and commercial pest control services, including: insect control, rodent control, wildlife removal, termite treatments, bed bug extermination, and more! We are proud to be the premier pest control Fleming Island FL has to offer! Need a termite inspection? Call Bug-Man today to schedule an appointment. Our local exterminators are certified, licensed, professional pest control experts who are standing by to serve you. We guarantee your satisfaction 100%. 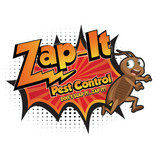 If you see any pests after our treatments, we'll come back and make it right at no extra charge to you. Whether you are looking for one-time service, or regular pest management, we can take care of all your needs. Visit our website and give us a call today to book your appointment, and we will be there to make your home or office bug-free. Bug-Man Pest Control is a pest control company in Middleburg FL. We specialize in all types of residential and commercial pest control services, including: insect control, rodent control, wildlife removal, termite treatments, bed bug extermination, and more! We are proud to be the premier pest control Middleburg FL has to offer! Need a termite inspection? Call Bug-Man today to schedule an appointment. Our local exterminators are certified, licensed, professional pest control experts who are standing by to serve you. We guarantee your satisfaction 100%. If you see any pests after our treatments, we\'ll come back and make it right at no extra charge to you. Whether you are looking for one-time service, or regular pest management, we can take care of all your needs. Visit our website and give us a call today to book your appointment, and we will be there to make your home or office bug-free.